Flour Craft Bakery owner Heather Hardcastle was a garden designer with a passion for food when she decided to take a chance on a career change. 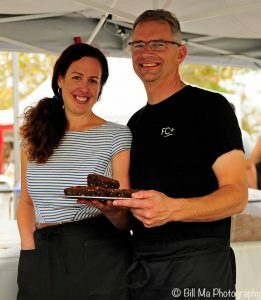 Heather is gluten intolerant and her goal was to fill the need for fresh, high quality, gluten-free baked goods in Marin County, where she lives. She took time off in 2008 to attend the Culinary Institute of America at Greystone in St. Helena, where she enjoyed the experience and the training. There was no instruction in gluten-free baking at CIA at that time (which presented some tasting challenges), so she took the techniques she learned there and, by extensive trial and error, applied them to invent gluten-free creations of the same quality. It took two years to bring her dream of an all-gluten-free retail bakery to reality. The first year was taken up by funding efforts, including a Small Business Administration loan and a Kickstarter campaign. The Kickstarter was successful, and Heather found that the community connections she made through it were as valuable as the funding. The second year was immersed in constructing the 1,200 square foot bakery in a space in San Anselmo formerly occupied by a bike shop. 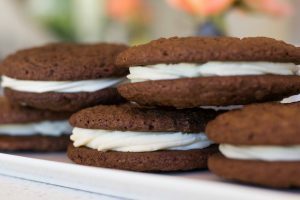 The bakery opened earlier this year, and Heather is enjoying the shop’s neighborhood in San Anselmo, which is occupied by many owner-operated small businesses that create a supportive community. Luckily for those of us outside the immediate area, San Anselmo is a charming town well worth a visit and is centrally located in Marin County and easily accessible. 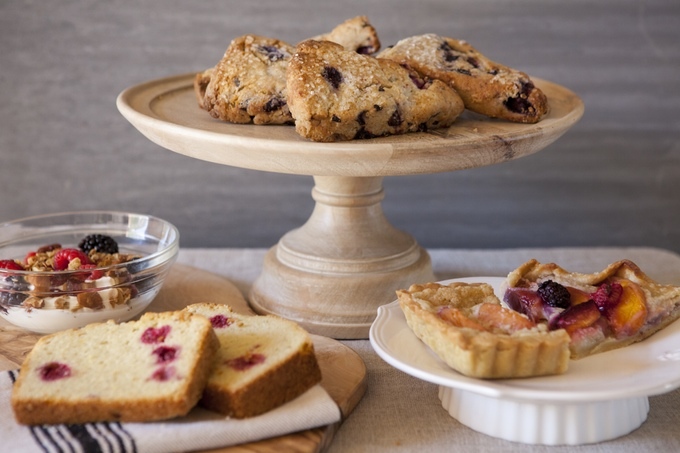 Flour Craft offers a gorgeous array of breads, morning pastries, cookies, brownies, cupcakes, fruit galettes, and savory items such as sandwiches and quiche. Custom cakes for special occasions are also available. Although it is primarily a take-away bakery, it’s also nice to stop by for breakfast or lunch to enjoy the limited indoor and outdoor seating and sip on the locally produced coffee and tea. Flour Craft Bakery items are also available at local farmer’s markets: the Thursday Civic Center Market in San Rafael (year-round) and the Ross Valley Market from June to September. Flour Craft Bakery produces a line of gluten-free granola, its original very popular product, which is available in cranberry almond and maple pecan flavors at 25 Whole Foods locations and independent natural foods markets throughout the region. The granola is also available by online mail order. What’s next for this busy entrepreneur? Heather plans to make her line of custom cakes available for online order, and is planning to share her recipes in a cookbook. In the meantime, you may enjoy her personal blog and the stories and recipes on it at http://dinnertonightblog.blogspot.com/. Not surprisingly, the blog posts end about the time the bakery was about to open, but Heather plans to integrate a new blog into the bakery website soon. 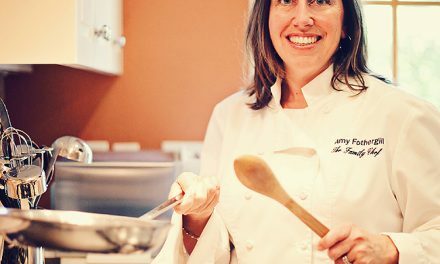 The Culinary Institute of America at Greystone now has a class block that offers instruction on working with dietary restrictions, including gluten-free; Heather, coming full circle, returns there to speak to the students in that class. 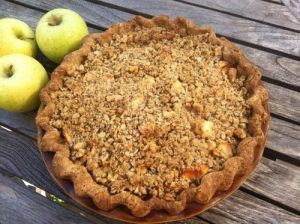 Visit Flour Craft Bakery for a delicious gluten-free culinary experience, and consider taking a baking class there; the first one will be offered in June (date to be announced) and will focus on sweet and savory tarts – yum! The Celiac Community Foundation of Northern California would like to thank Flour Craft Bakery for donating a portion of its proceeds in May 2013 to Camp Celiac at Camp Arroyo in honor of Celiac Disease Awareness Month.